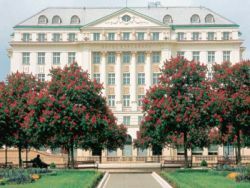 In Zagreb, we'll be staying for 2 nights at the 5 star Regent Esplanade Hotel. Originally constructed in 1925 to accommodate passengers on the Orient Express, the Regent Esplanade Hotel offers the utmost in sophistication and service. This historic hotel in the center of the city in the Donji Grad district has 209 elegant, spacious and 100% smoke-free guest rooms, a beauty salon, business center, clothes pressing, concierge desk, three on-site restaurants, complimentary Health Center, complimentary Wi-Fi throughout the hotel, massage and spa treatments, newsstand and gift shop, same day laundry and dry cleaning. The room amenities include 24-hour room service, all-news cable network, bath menu, bathrobes and slippers, fresh flowers, goose down pillows and duvets, in-room safe, marble bathrooms with drench showers, personalized turndown service, Regent Club access, and telephones with voicemail. In Split, we'll be staying for 3 nights at the beautifully renovated, historic Hotel Park Split. 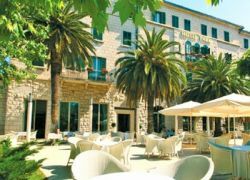 Built in 1921 and completely restructured in 2015, the Hotel Park Split is a traditional first-class hotel in the center of Split, within walking distance of the famous Baèvice beach, Palace of Diocletian, Cathedral of Saint Domnius and Gregory of Nin Statue. The hotel offers an outdoor pool, garden, spa and wellness center, gym, laundry services, currency exchange, on-site restaurant, cafe and bar. Each of the 73 rooms are a combination of contemporary comfort with traditional elegance, all of them non-smoking, and equipped with a flat-screen TV with satellite channels, safe, minibar, free WiFi, and spacious bathrooms with bathrobes, slippers, and luxury toiletries. 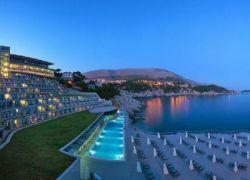 In Dubrovnik, we'll be staying 4 nights at the luxury seaside Rixos Libertas Dubrovnik. Featuring a large spa with panoramic sea views, this hotel is a 15 minute walk from Dubrovnik's Old Town. All of the air-conditioned rooms feature stylish, modern furniture, a flat-screen TV and a spacious bathroom. Two bars and three restaurants offer dining options with gourmet pleasures, you can taste exclusive Turkish specialties at the Lalezar Grill House Restaurant. At the Beach level, Azzur Restaurant offers refreshments and snacks throughout the day and Dalmatian seafood specialties in the evenings. A patisserie set on the lobby terrace will enchant all lovers of delicious sweets. The 2-story spa center features a Turkish bath, fitness center, indoor and outdoor pools, numerous rejuvenating treatments, and a vitamin bar. For fun and entertainment, Rixos Libertas hosts a casino and a stylish nightclub.